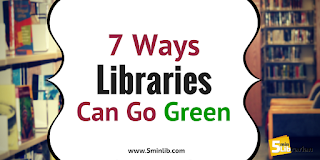 Does your library have recycle bins for paper and plastics for patrons as well as staff? 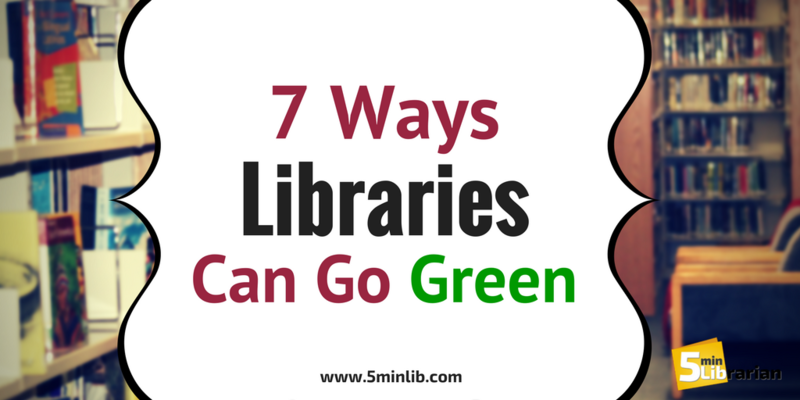 If you allow patrons to drink in your library, where can they put their empty bottles? It might be a great volunteer program for your teens to empty the bottle bin and bring back the cash for teen programming. Or, maybe you can make a community connection and invite in a group (like the local Boy Scouts) to empty the bin monthly and they can keep the money. There's a long list of electronics that you can recycle from computer speakers and printers to gaming consoles and handhelds at Staples. Also, if you are collecting a lot of dead batteries with your many electronics, you can drop them off at these places as well or find a drop-off location at call2recycle.org. TerraCycle has lots of free programs for you to recycle non-organic and non-hazardous waste. If you don't have time to separate your stuff out, you may be interested in buying a generic box and just recycle everything together. It isn't free, but it'll do the environment good! It could also make a great annual program to open to the community -- asking them to drop off unusable toys and you'll send them off to be recycled. Another option is to collect your broken electronics and wait for your community's electronics recycling day. Washable Markers and Paints on paper are recycleable, but crayons are not. If you do have crayons, you can get rid of your small pieces by sending them to The Crayon Initiative (thecrayoninitiative.org), or you can melt them together and make new crayons. Find lots of phones at your library that no one is claiming? You can mail them to Smartphone Recycling and make some money! You do need at least 10 phones in your shipment box, but this may be a great opportunity to ask staff if they want to participate as well (or open it up to the community as a fundraiser for the library). You can earn up to $350 per phone and they do accept Lost & Found Phones. If you don't have 10 phones to send in, you can donate them to the Operation Gratitude program which supports U.S. Troops. Decrease your battery waste by buying rechargeable batteries. Make sure the librarians who shop for library programs and events are using reusable bags and not collecting plastic bags (Bonus points if the reusable bags advertise the library!). If that doesn't work, designate a place to collect plastic bags and assign someone to recycle them at any grocery store.